This is our traditional Christmas Eve dinner. I have made this recipe for years. It is fabulous. 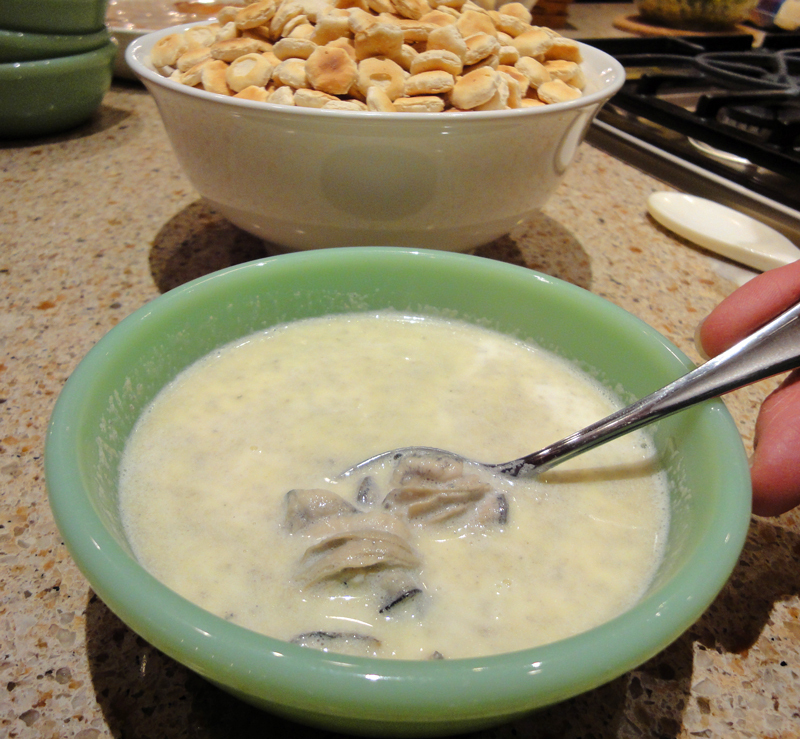 Heat oysters and juice in butter in a medium size saucepan until oyster edges begin to curl; stir in milk and half and half. Heat on low until steaming hot. Do not boil. Note: I cut up my oysters so they are smaller, but if you like large oysters, leave them the way they come out of the container. It was delicious. I will use this recipe from now on. Thank you foe sharing.